I woke up relaxed and refreshed, thanks to our dip at the onsen the previous night. After a heavy breakfast at the hotel, we were soon pulling out of the drive and into Takayama. It’s Sunday, which meant that there’s a morning market by the Miyagawa river. Our bus driver parked beside the Takayama Betsuin Shourenji, and together with the group, we walked down Yasukawa Street. It was the same route I took in April 2012, and once again, I felt grateful for the opportunity to come back. 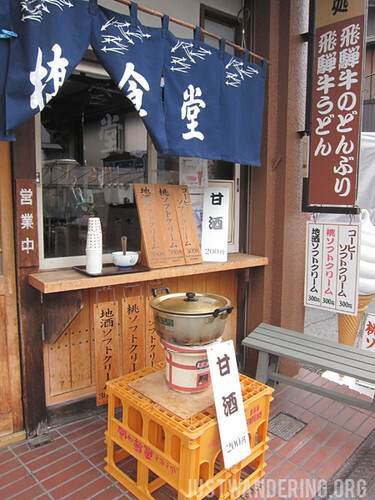 Something hot to keep you warm, yet there is also an ice cream stall right behind. The market was in full swing, and since it was still pretty early, people are just starting to trickle in. It was just as cold as it was when I first walked through the market, but I noticed that no matter what the weather is, the ice cream stall is still open, and is still making a sale. There are sweets for sale, souvenir items, clothes and accessories, freshly baked bread, and of course, fresh produce. If you get too cold, you can duck into some of the bigger stores to thaw out for a bit before heading back out and continue walking down the market. I break away from the group to head to the konbini across the river. I love checking out convenience stores and supermarkets when I travel, and the stores in Japan are chockfull of items that would fascinate and/or leave you chuckling. With a bottle of hot lemon warming up my hoodie’s pocket, I started on a pleasant stroll back to the bus. Along with some people from the group, we stop by Sannomachi street for a quick look and the requisite photo for Facebook and Instagram. The parking lot was starting to fill up when we drove out, and as we passed Miyagawa street, it was already full of people. We drove out to the expressway, towards Shirakawa-go. It was very interesting to see the mountains this time, as the last time I saw them, they were white with snow and the trees were barren. Now, the trees are still full of life, and the mountain was covered in splashes of green, red, orange, and yellow. 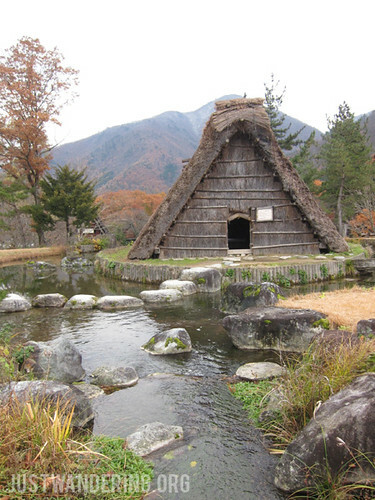 Truly, this visit to Shirakawa-go was different from my first time, but it was no less beautiful. While the thick blanket of snow covering the village, coupled with the occasional flurries made Shirakawa-go look enchanting, the autumn colors made it no less charming. Though we didn’t have time to explore the village, we were able to go into the Open Air museum, a place I haven’t been able to explore last time. Talk about lucky. We had a pleasant walk around the museum, and we were able to check out the inside of the houses without disturbing any residents. We piled back on the bus, and drove back to Takayama for a lunch of Hida beef yakiniku before the long drive north to the Shin-Hotaka Ropeway. The heavy lunch and the movement of the bus left us drowsy and soon enough, everybody on the bus is nodding off. Almost all at once, we were woken up by the drop in temperature and the sight of snow dotting the landscape. We knew we were getting closer to our destination when the snow started getting thicker. Bundled up in our thick coats, bonnets and gloves, we piled out of the bus and made a beeline for the toilet inside the Shin-Hotaka Ropeway. Our group was welcomed by Mr. Nobuki Yokomaku, the general manager of the Shin-Hotaka Ropeway. He led us up to the platform to board the first cable car. As the car ascended, we were treated to a stunning view of the surrounding landscape, blanketed in snow. As we rose higher, the surrounding mountains became more visible. 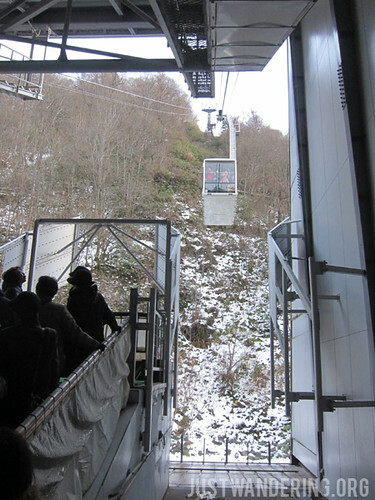 The ropeway consists of two segments, and there is a short walk between the two stations. With clear blue skies and the golden hour, the walk through the trees was breathtaking. The second ropeway had the double deck gondola, and the entire ride took us almost a kilometer up the side of the Hotake mountain range. The view on the ride up is even more amazing, with pines trees covered in snow whizzing past below us, making for a perfect holiday picture. The two rides takes about 11 minutes total, and you hardly notice it with all the excitement. We clambered out of the gondola as soon as it has securely docked and made our way to the viewing deck. At the top, we were met with a 360° view of the Japanese alps. Being there on a very clear day at nearly sunset, it was simply magical. We were all excited about the snow, we completely forgot to feel cold. Unfortunately, we couldn’t stay too long as it would be dark soon. We headed back down, and we were soon back on the road towards Matsumoto. We arrived November 24, left November 27. Hi. Thank you for a nice article. 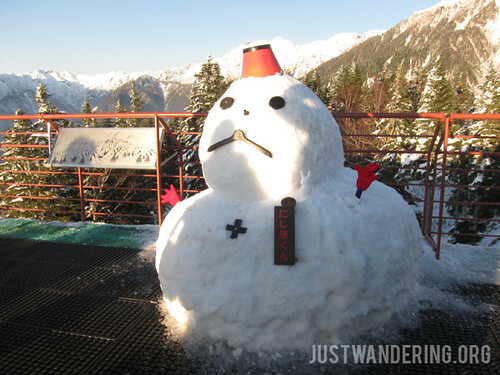 Did you experience snow in Takayama? Or only when you went up to the mountains? I would like to bring the kids to experience snow. But we can only managed to arrive on 29 Nov and not later. Hope we will get to see snow fall. Hi Karen, the snow was only in the mountain when we were there is November 2013. I think there are buses that go from Takayama city to the Shin Hotaka Ropeway, so you can do a daytrip or stay there overnight.